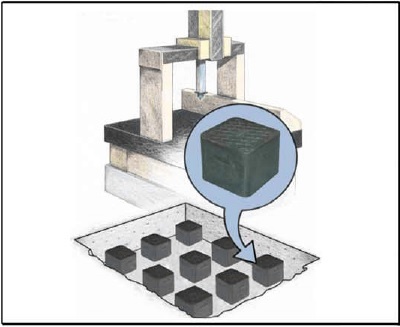 The fundamental design requirement for the Unisorb GK Block System is that the iertia or foundation block be installed free-standing on the isolation blocks with no other contact with its surroundings. The GK Block System provides system natural frequencies in the 3 to 6 Hz range and is highly effective in isolating both source and sensitive machines. The GK Block System is frequently the first choice in isolating highly sophisticated coordinate measuring machines and other equipment requiring low natural frequencies. There are three contruction methods recommended for installing Unisorb GK Blocks. Download this Foundation Isolation Solutions brochure. Contact us today for more information.